Considering last year’s attendance of 528 and the predicted attendance of 550, you can imagine the terror on the faces of the co-chairs as the numbers continued to climb throughout the days leading up to the conference. But thanks to immaculate planning and a dedicated committee, the event went off practically without a hitch, despite the surprising turnout. What really struck me about this conference was the overwhelming enthusiasm on all ends. The students took time out of their studies to present their work and learn about new projects, which is not always easy to do. They attended workshops, met with recruiters, and really demonstrated their enthusiasm for the industry. 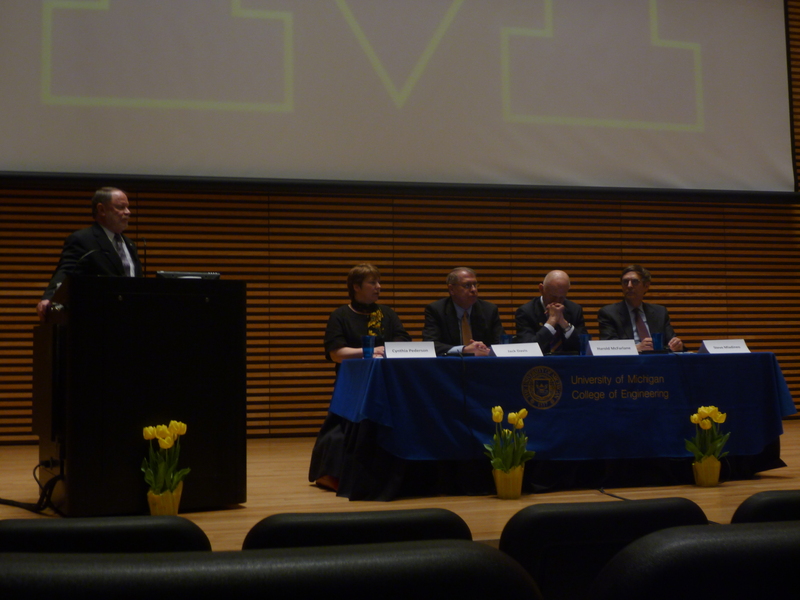 It was particularly inspiring to see that almost every student went to the public forum to hear a panel speak about current topics in nuclear power. We are acknowledging that public opinion is not only a vital factor in the future of this industry, but it is also important to us as engineers. Students could easily just spend their time confined to their respective university bubbles, but instead they are choosing to blog, tweet, or do whatever they can to communicate with a world outside their own. This is big. I’m probably biased, but I like to think that people tend to enjoy talking with students about topics such as nuclear power. We’re young, we’re not getting paid to push some big company’s agenda, and we tend to give it to you straight. I just hope that meetings like this continue to inspire more students to talk about this industry we love so much. So far, so good. One important advantage of nuclear power is that is avoids the wide variety of environmental problems arising from burning fossil fuels – coal, oil, and gas. These environmental problems probably exceed those of any other human activity. The ones that have received the most publicity have been “global warming”, which is changing the Earth’s climate; acid rain, which is destroying forests and killing fish; air pollution, which is killing tens of thousands of Americans every year, while degrading our quality of life in many ways; the destructive effects of massive mining for coal; and oil spills which do great harm to ecological systems. This entry was posted on April 15, 2010 at 2:41 am and filed under Uncategorized. You can follow any responses to this entry through the RSS feed. You can leave a response, or trackback from your own site.